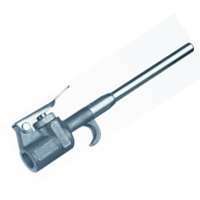 The Campbell Hausfeld pistol grip blow gun (MP514300AV) is ideal for cleaning confined spaces. 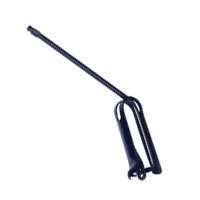 This lightweight, pistol-grip blowgun is comfortable to use and has a trigger to control the airflow to the gun tip. 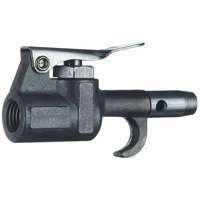 Its a narrow, 3-inch extended nozzle that can easily fit into tight spaces. 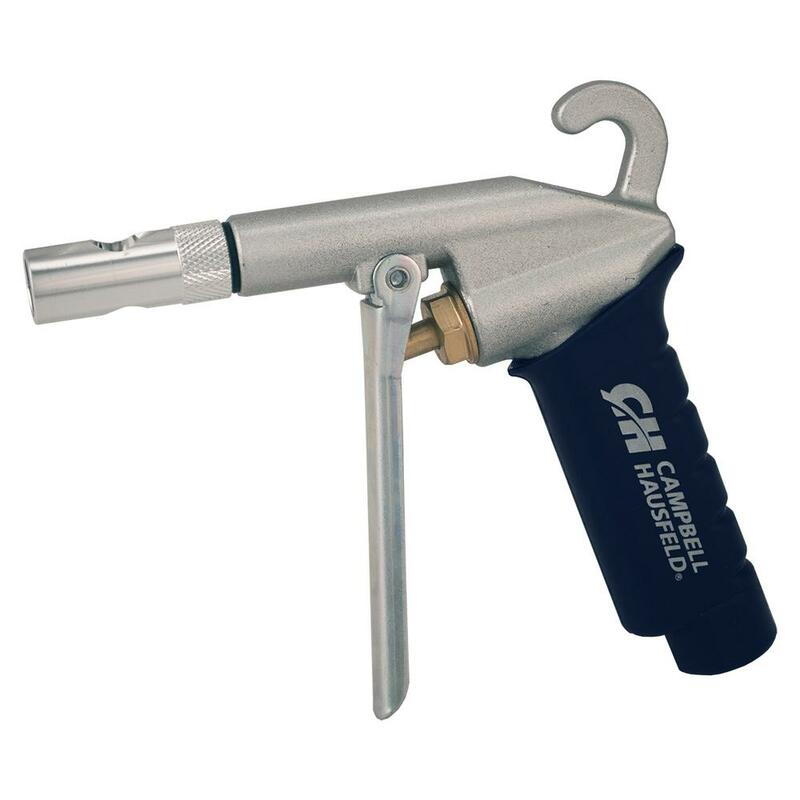 The Campbell Hausfeld cleaning gun (TL103200AV) uses the included siphon pickup tube to introduce cleaning solution into the die-cast aluminum handle, where it's carried by compressed air through the 9-inch chrome steel wand to blast away grease and grime. 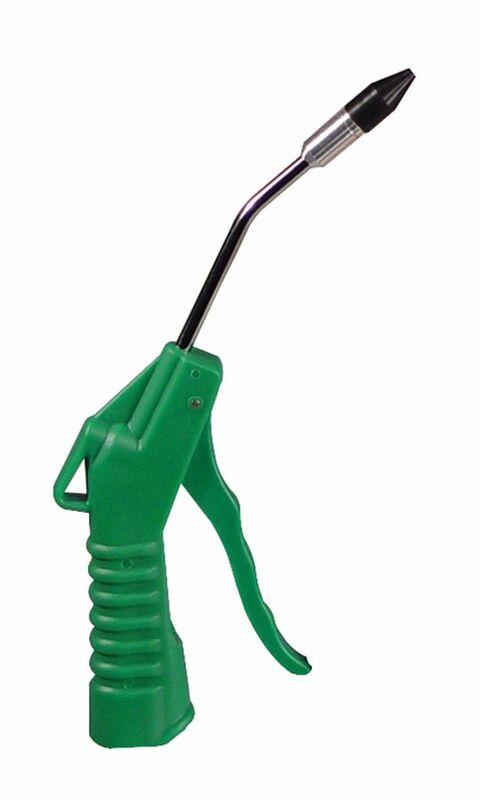 Prefect for cleaning engine blocks and other tough jobs. This cleaning wand requires 4.0 SCFM of air @ 90 PSI. 1/4 inch NPT (F). 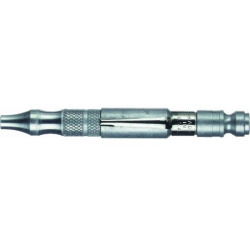 The Campbell Hausfeld 1/4-inch pocket blowgun (MP320100AV) has a compact design for easy portability. 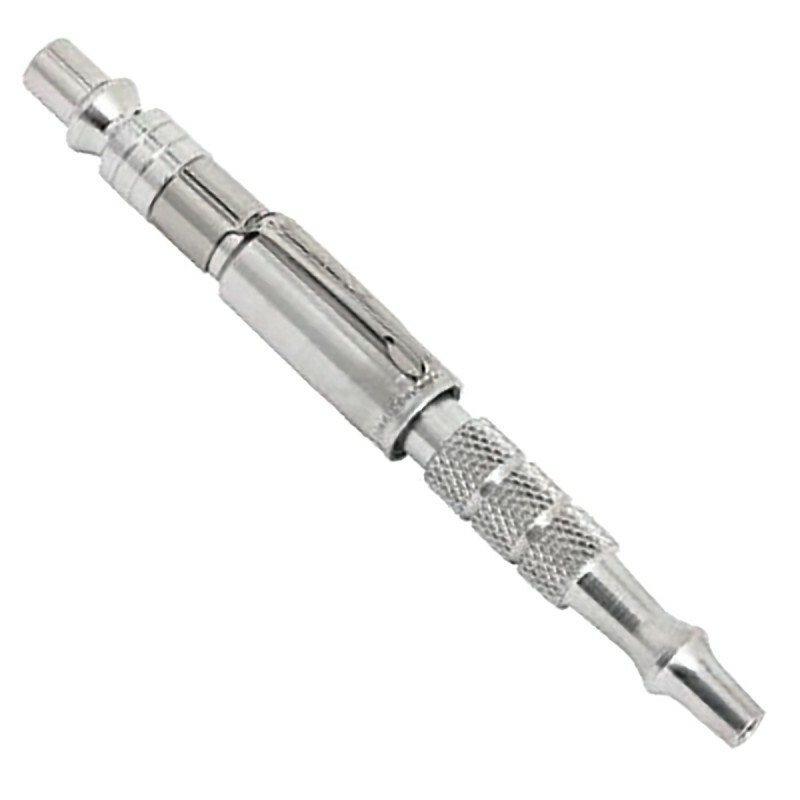 This blowgun has a built-in plug for added convenience and fits 1/4-inch industrial-style couplers. 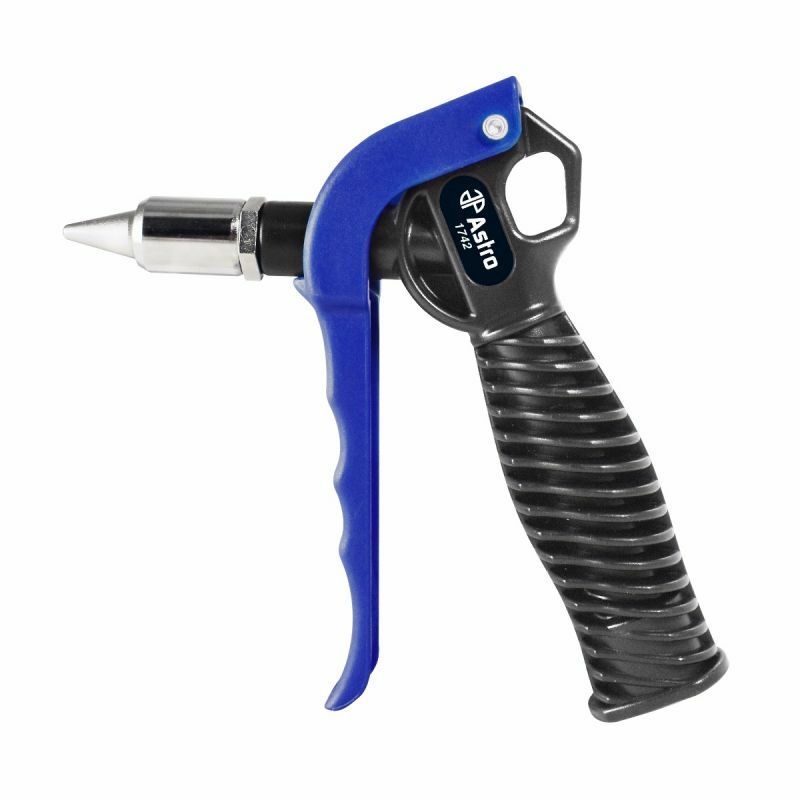 The airflow adjusts with an easy twist of the knurled nozzle to dial in the right amount of air for the job. 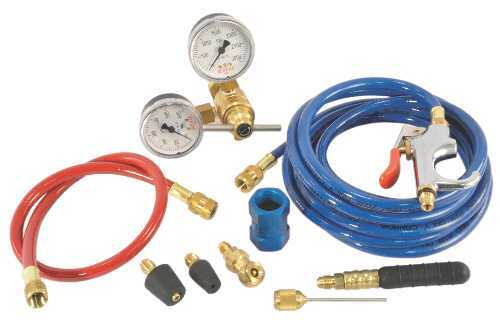 The Campbell Hausfeld blow gun inflator kit (MP211600AV) adds a variety of inflating capabilities to air compressors. 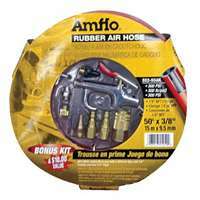 Inflate tires, air mattresses, sporting equipment and more. 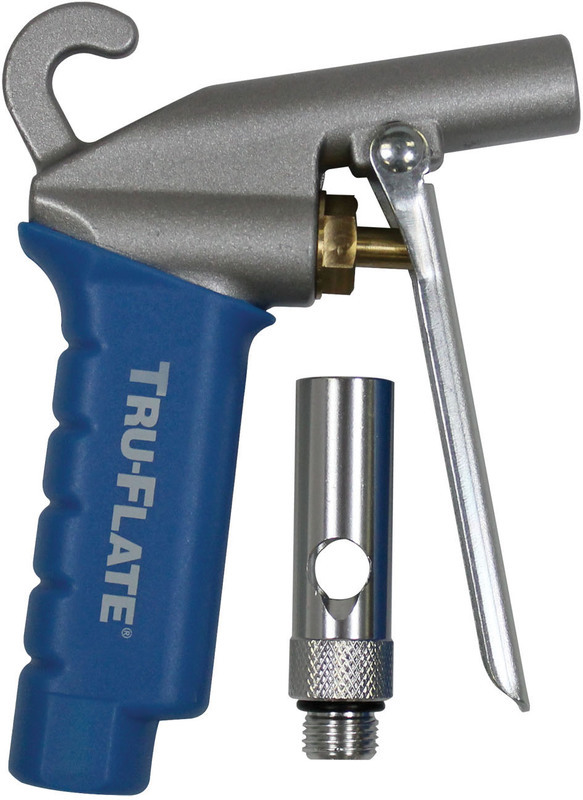 Includes an inflator adapter, tapered inflator nozzle, inflator needle and tire nozzle. 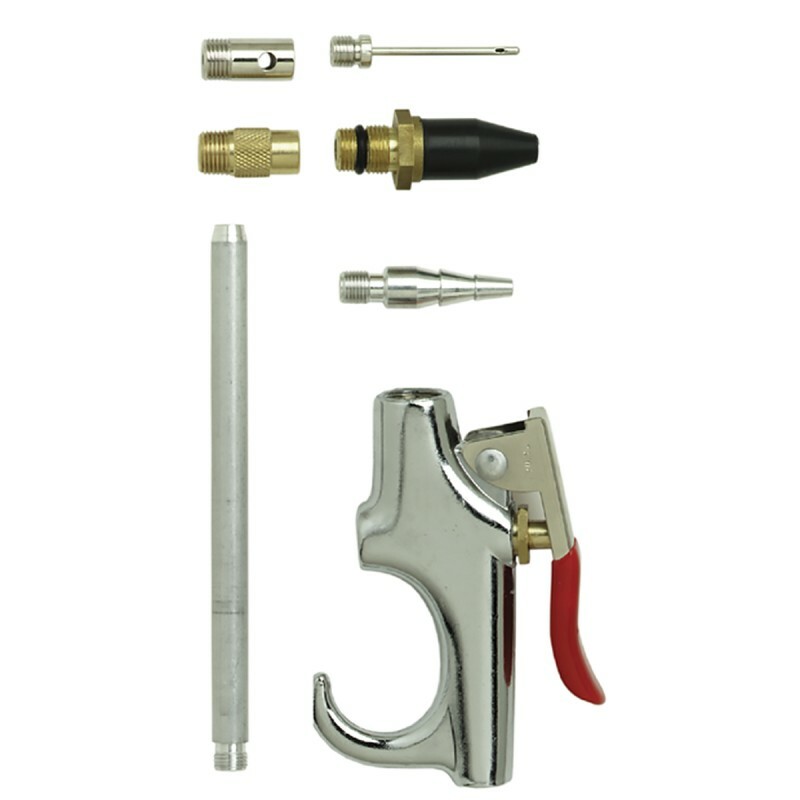 The Campbell Hausfeld 7-piece blow gun kit (MP514100AV) is perfect for cleaning the garage, workshop and other areas. 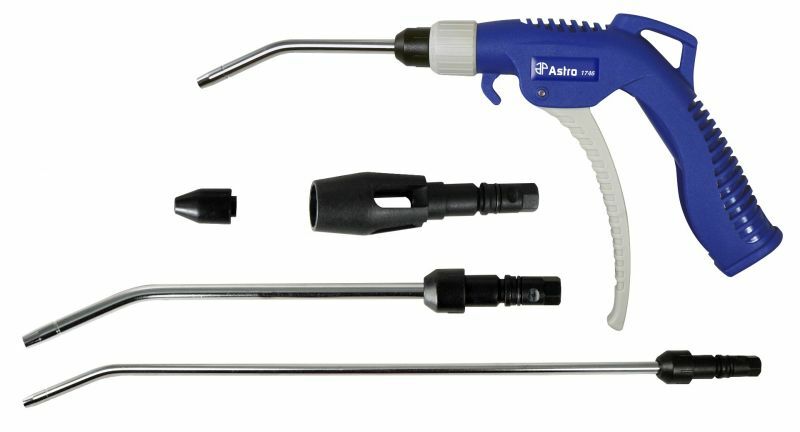 This blowgun kit has a compact design to fit in confined spaces and a hang-up hook for easy storage. 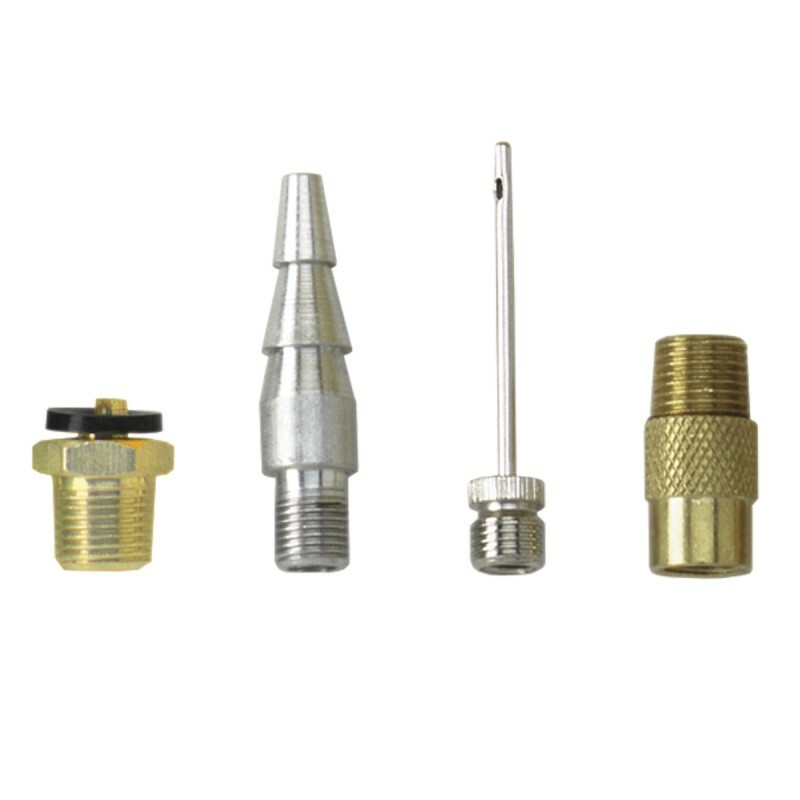 Includes safety nozzle, extension nozzle, rubber tip, inflator adapter, tapered inflator nozzle and inflator needle. 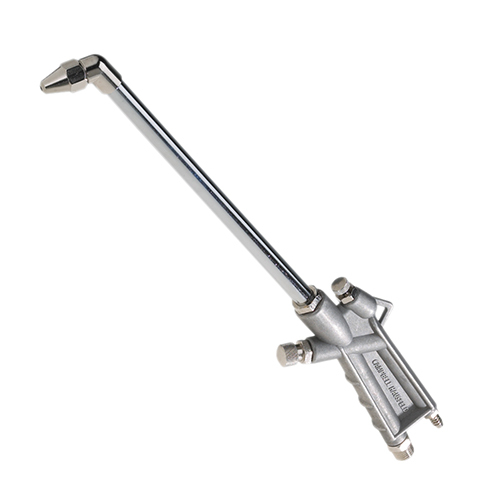 The Campbell Hausfeld 1/4-inch NPT (F) lever safety blow gun (MP216700AV) is ideal for cleaning areas like garage floors and workbenches. 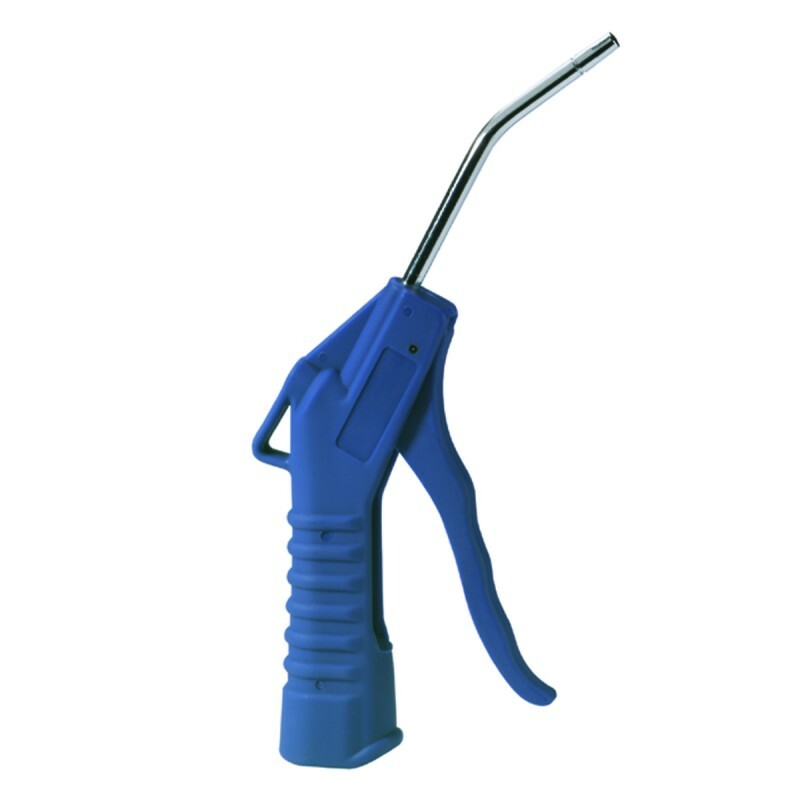 This blow gun also will accept a variety of accessories for inflating tires, sports equipment, rafts and more. 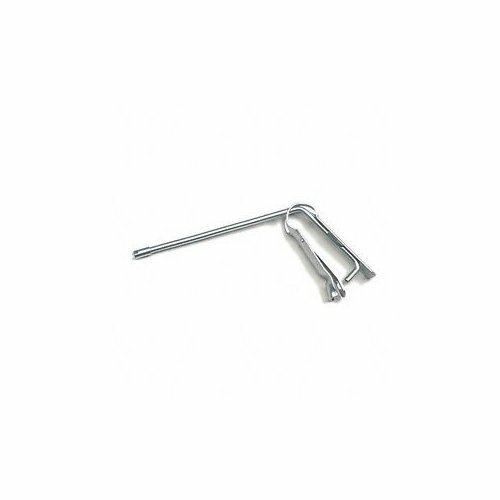 A compact design helps this blow gun fit into confined areas, and it includes a hang-up hook for easy storage. 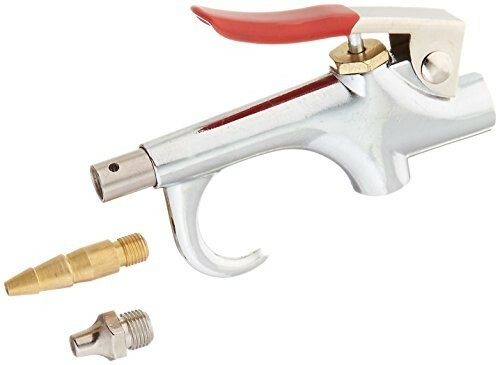 Meets OSHA regulations when used with attached safety nozzle. 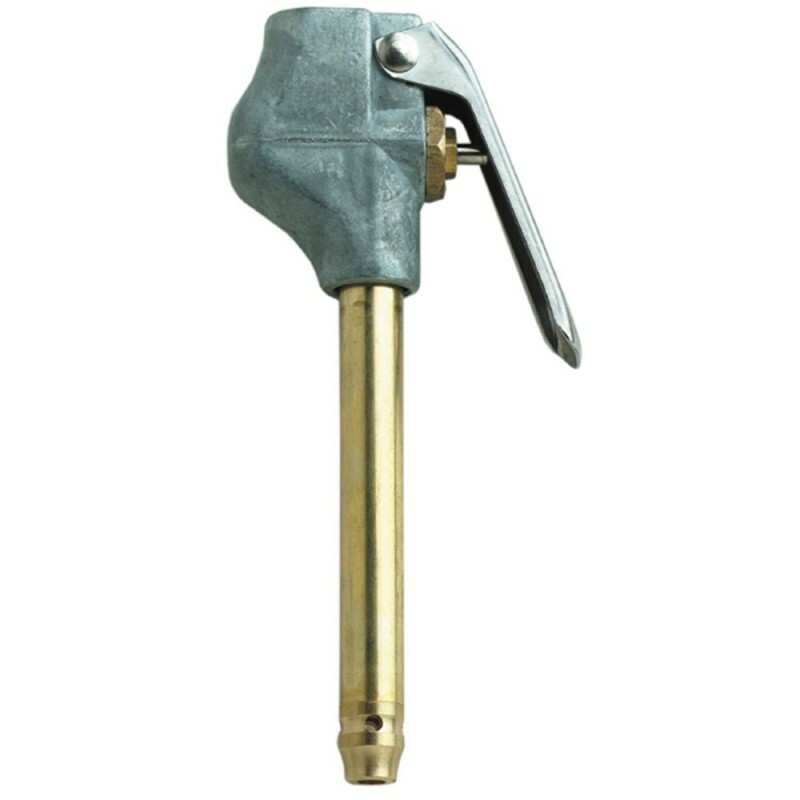 The Campbell Hausfeld extended-nozzle blowgun (MP320200AV) features a 3 1/2-inch nozzle that reaches into confined spaces to blow out debris. 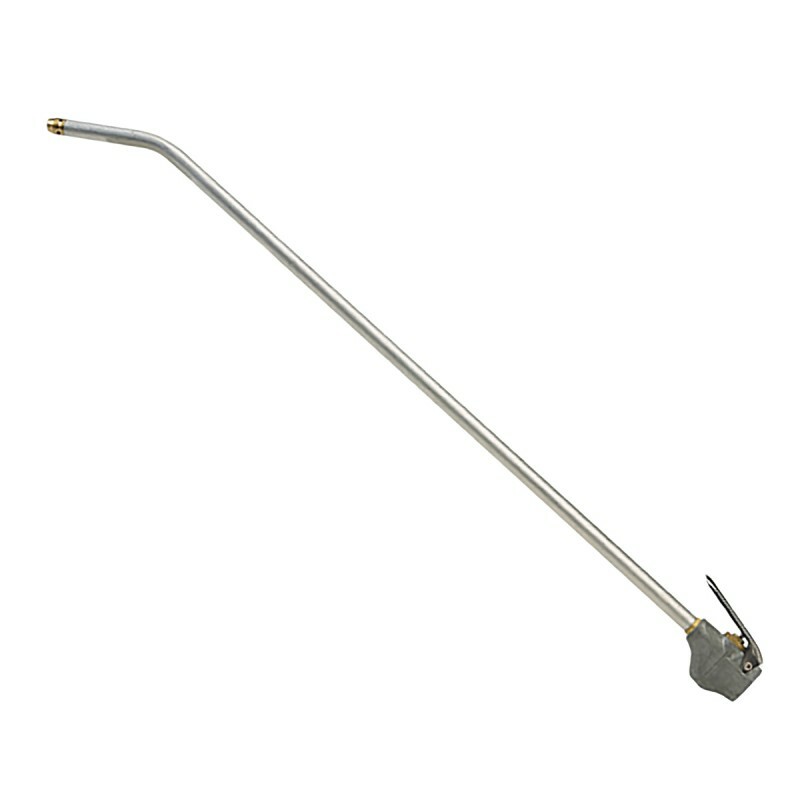 This blowgun has a comfortable, easy-to-use lever and accepts rubber tips. 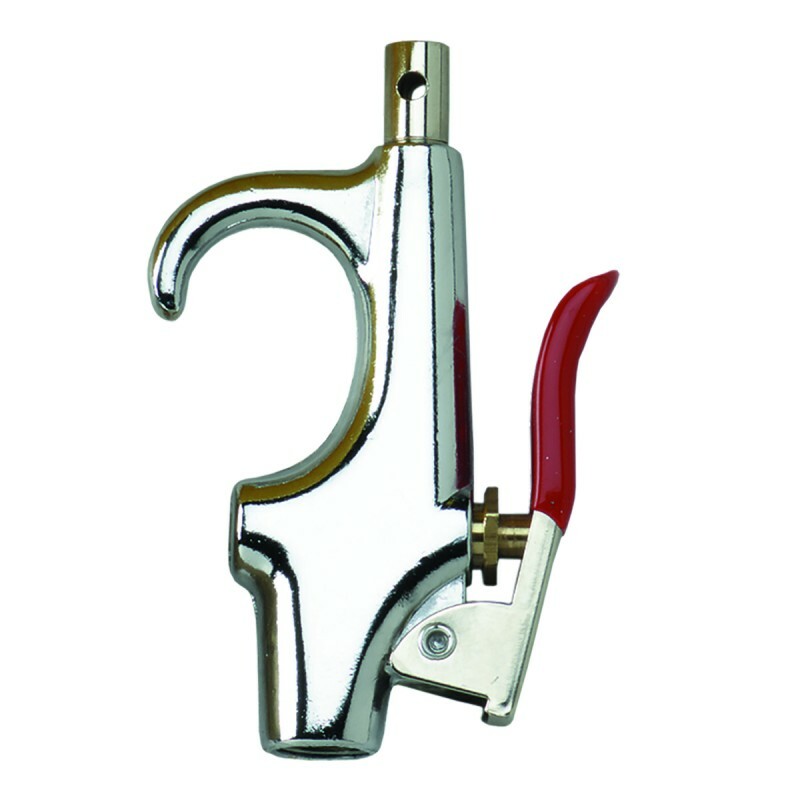 Meets OSHA regulations when used with the attached safety nozzle.